Very close to Athens is the famous town of Arachova. 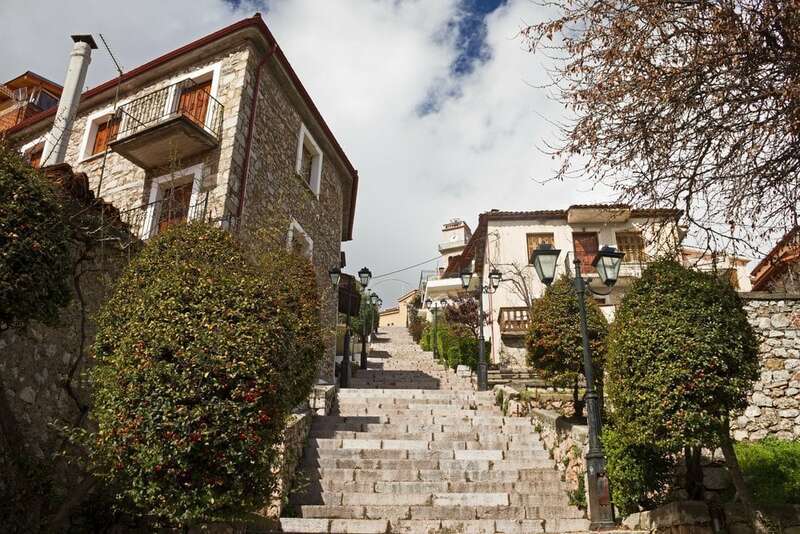 The stone-built houses, the traditional little streets, the luxury villas, the restaurants and the vivid bars, make Arachova one of the most popular destination for the Athenians and the celebrities of the Greek showbiz for their winter vacations. Arachova is located in the foot of Parnassos mountain, where there is the biggest and most organized ski-center in Greece. Parnassos ski-center is only 2 hours from Athens, an ideal destination even for a one-day excursion. The visitors can enjoy their favorite sport or they can rest having their coffee. Just 10 km from Arachova is the archaeological site of Delphi with the famous oracle. Delphi is the second most popular archaeological site of Greece, after the Acropolis, with a plethora of visitors all year around.